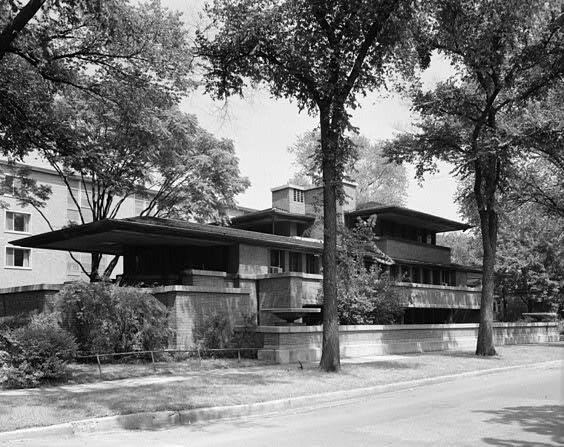 At the end of my American Art History: Volume IV, we study two of Frank Lloyd Wright’s pieces of architecture, one of which is the Robie House, built in 1910 in Chicago near the University of Chicago. There are few children’s books on Wright, and really only one good one, but the one good one is a gem. It’s called The Wright Three, written by Blue Balliett. 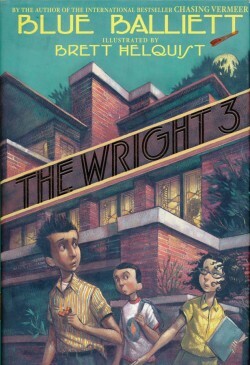 Right now I am reading The Wright Three to my art classes and they are loving it. It’s part of a trilogy of mysteries written by Blue Balliett that each explore an artist and one of their works. In The Wright Three three sixth graders, Calder, Petra and Tommy, try to save the Robie House, one of Frank Lloyd Wright’s most famous homes, from destruction. While becoming engrossed in the Chicago neighborhood of Hyde Park and a fictitious mystery surrounding the Robie House (also in Hyde Park), readers learn about the life and work of Frank Lloyd Wright. In addition to being a great introduction to an historic piece of architecture, the Balliett mysteries also include a dose of math. Throughout this book, Calder, one of the “Wright Three,” constantly fiddles with his pentominoes that he keeps in his pocket. These mathematical shapes are discussed in a preface and are so intriguing that you will want to buy a set to play with too. I ran out to Toys R Us and bought the game Blockus (which contains four complete sets of 12 pentominoes) to have for my students to play with while we read the first couple of the chapters of the book. If you want a 3D visual aide while reading you can purchase the LEGO Architecture Robie House kit. Yes, it’s expensive. That said, if your kids are at all in to putting things together, it is worth the price. Not only is it a great 3D model, but after spending the time it takes to put it together (it’s big) they will never forget the Robie House. Balliett’s book has become so popular that if you are ever in Chicago, the Robie House foundation actually gives tours based on The Wright Three.